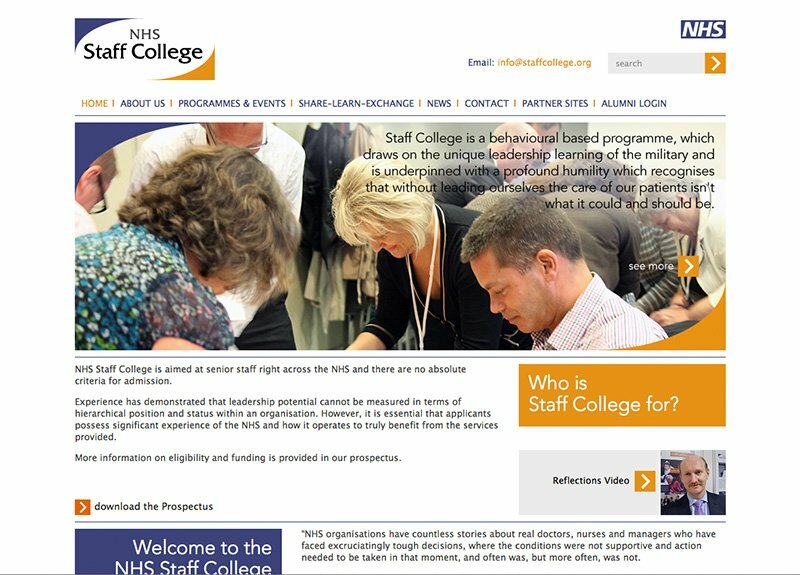 Bottletop has worked as design consultant agency over several years for the NHS at University College London Hospital (UCLH) on a wide variety of projects, ranging from website design, video production, 3D fly-through animation, interactive touchscreen content design, exhibition space design for UCH Narrative Centre and branding for the UCH Education Centre. 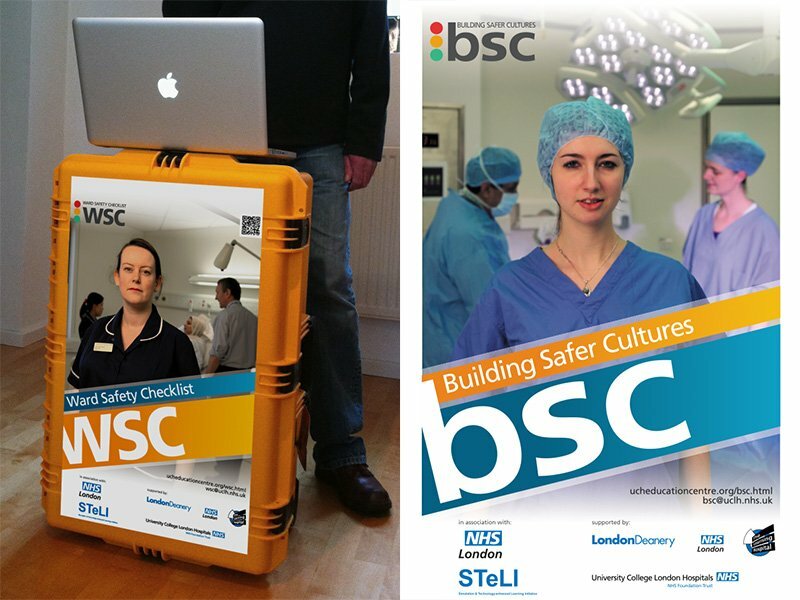 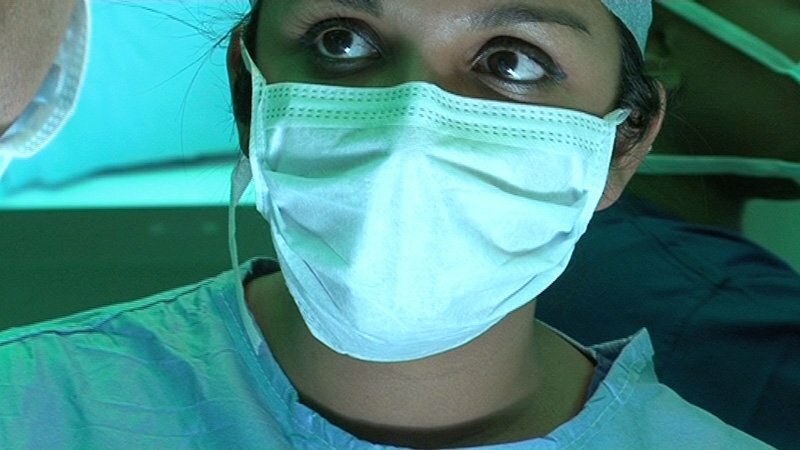 The team has also been instrumental in the design of mobile demonstration cases for WSC and BSC (Ward Safety Checklist and Building Safer Cultures) and more recently for the new NHS Staff College, where brand design, web visualisation, and print design have been critical to the launch of the national NHS staff college. 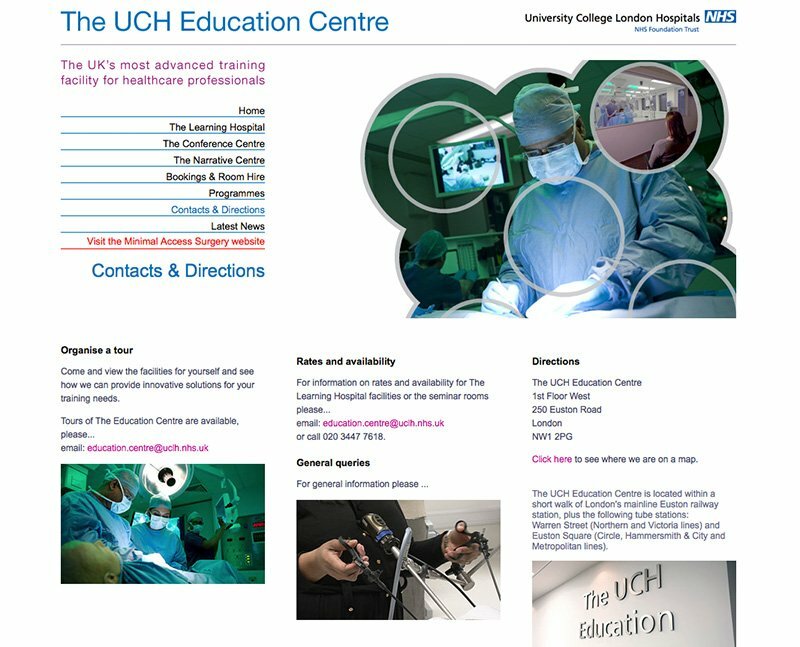 Bottletop has completed a multitude of digital media projects for University College Hospital, London. 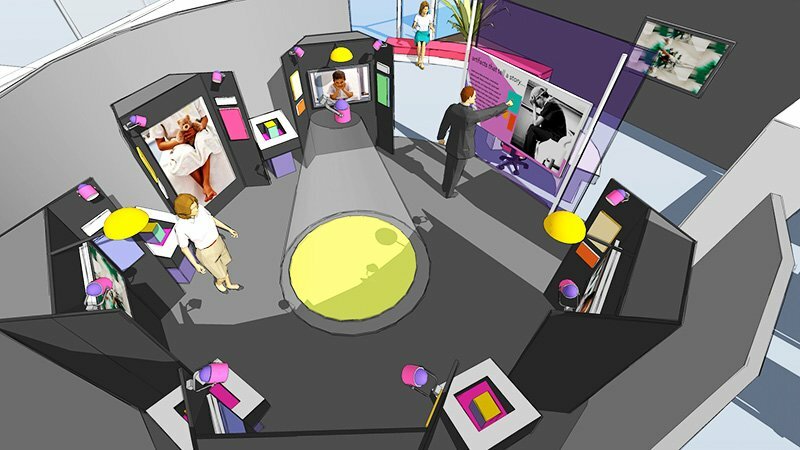 Ranging from video production to interactive touch screen installations Bottletop’s work has been used for educational events, staff training and visitor information.